In the week leading up to the launch of our new website three Swinford boxers were successful at the 2012/13 Underage Championships. The underage championships are a precursor for the actual championships for Boy and Girl 1. Aoife Bredigan, Saoirse Breen and Dylan Toner were the victorious exponents on the day, and photos from the championships have now been released. At the age of 10 years, Bredigan has already been marked as one of those to watch for 2013. A regular on bills throughout the county this season, Aoife has made a name for herself, with performances beyond her years on every occasion. Also 10 years of age is Saoirse Breen. Saoirse has had quite a few battle royales this season. 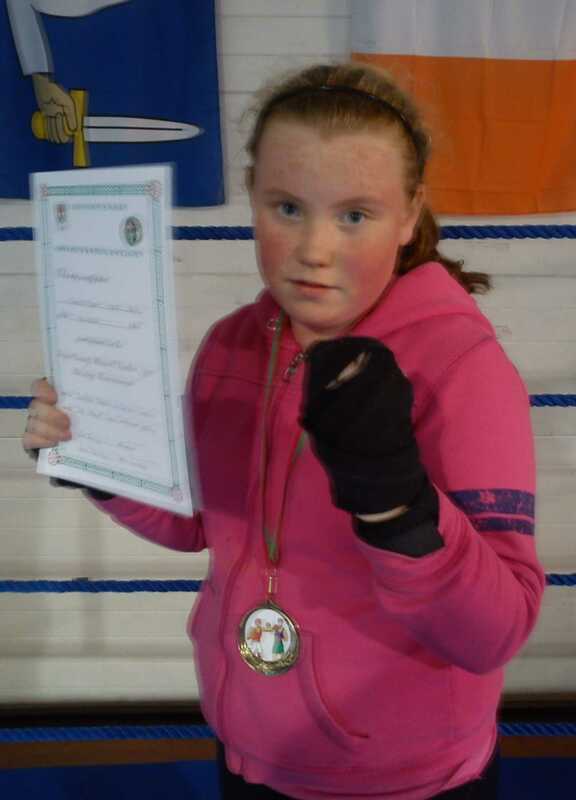 Taking on all comers, Saoirse may just be the dark horse of 2014. Progress has been rapid, and if Saoirse can continue to improve at this pace, she will certainly be one to be reckoned with next season. 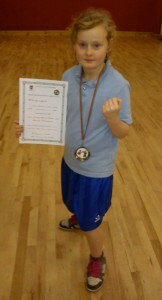 At 9 years of age Dylan Toner is the baby of the group, but you wouldn’t think it! The agressive Toner has already set out his stall. With another season to come before he can make his full debut, one could easily get carried away with the potential shown by Dylan Toner. 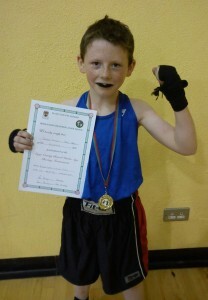 The future of the club lies with our underage boxers. All our young members are encouraged to take part. With Bredigan, Breen and Toner leading the way alongside, Tara Kavanagh, Sean McDonagh, Bria McLoughlin, Aidan Breen, Erin McHugh, Peter Bredigan and a new band of Boxers, the future looks bright for Swinford Boxing Club.